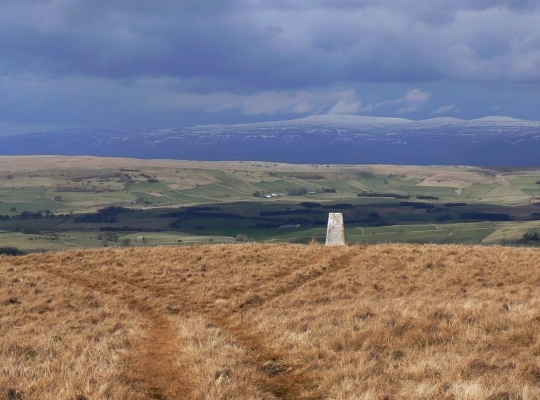 The Middleton trig point is situated on Middleton, the long northern ridge of Simon’s Seat in the Howgill Fells. It was built in 1961 as part of the third order of trig points. 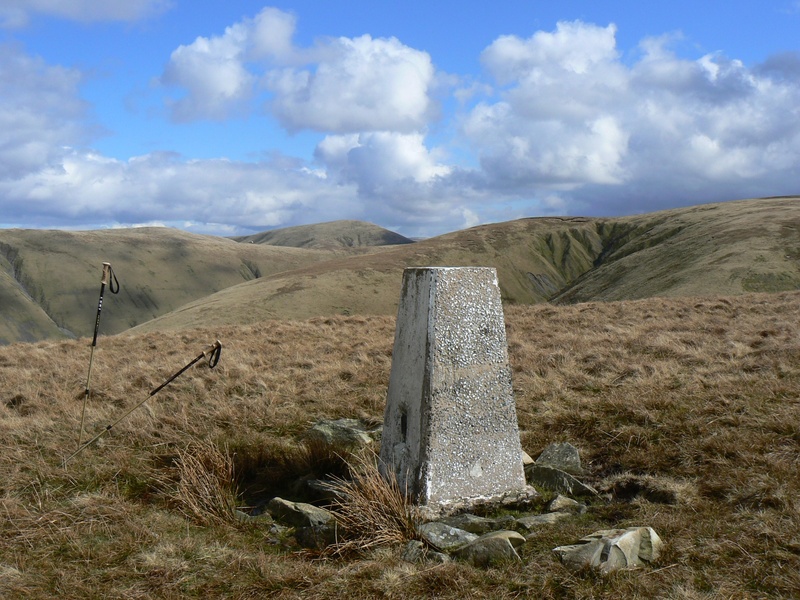 It is the most northerly of only four trig points in the Howgill Fells. There is a faint path to the trig point from the old packhorse bridge over Langdale Beck, or alternatively it can be visited on the way down from Simon’s Seat. The view from the Middleton trig point is one of contrasts. In three directions there are intimate views of the northern Howgill Fells whilst to the north there is a more distant panorama that includes the Orton Fells and the North Pennine giants, Cross Fell and the two Dun Fells.